"I made this bag before about a year ago and I decided to make it again for a few reasons. One is that I think it is a great bag for beginners, if you think you are not a bag maker, try this one and it may change your mind. It does not use the heavy duty interfacing so it is not difficult to handle. There is very little hand sewing and this can be completed in a short amount of time. 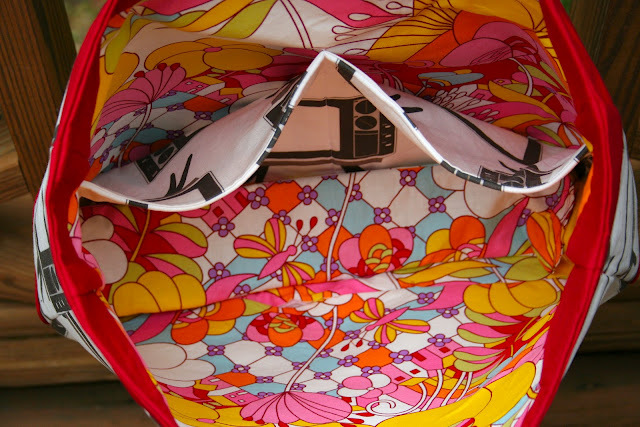 This bag also has some possible additions that make it a more custom bag . Last year I added a zipper pocket to the bag I made. I like that extra security in some of my bags. This year I decided to leave out the snap. It is our library bag so I do not need the snap. 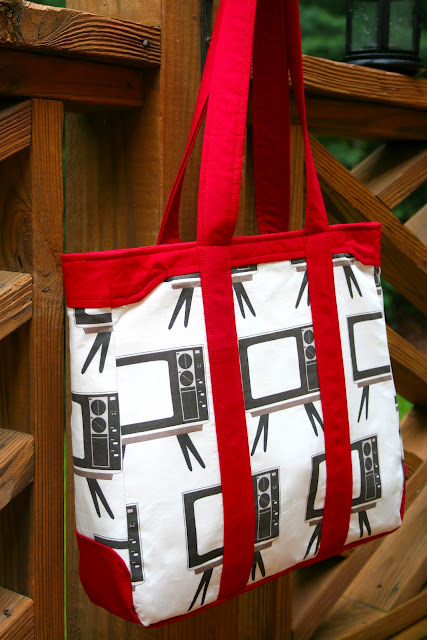 If you add pockets to both the inner sides it could be a great diaper bag. Many possibilities in one great design! It is a downloadable pdf file from Pellon that can be found here.The written instructions are very good. I read through them first to make sure I had at least an idea of what has being asked before starting the bag. The most difficult part for me was sewing the corners on the bottom of the bag but I am sure that is just a me thing and will get better with practice."